We arrived in Sri Lanka late on a Friday night, unable to see the country’s landscape from the windows of the plane. All discoveries of geographic color and contour would have to wait for daylight, and would be revealed over the next ten days as we traveled west to east, then south, and back to our starting point in Colombo. 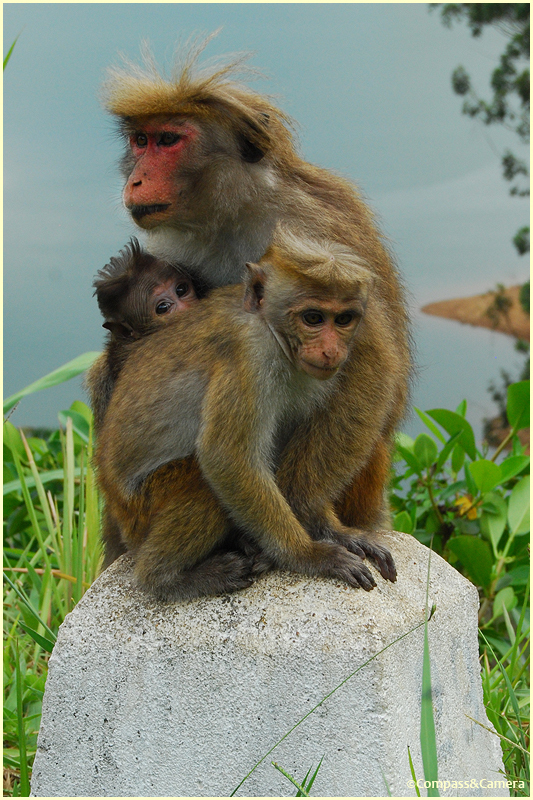 This was our first time in Sri Lanka and, although we’d read our guidebook and done some research, we had little idea of what the coming days would really bring. Comfort, kindness, fear, risk, reward, discovery and so many intangible things related to travel (good and bad) can’t ever be mapped out or predicted, and that’s just what’s so transfixing about it. 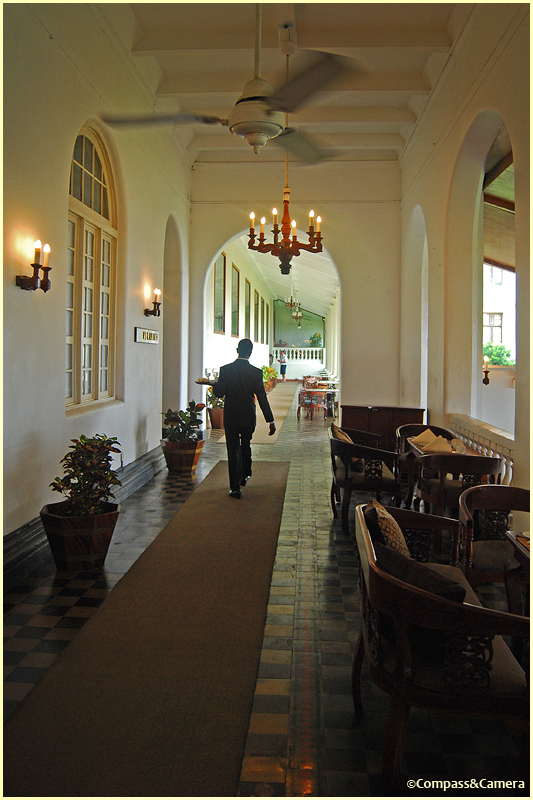 The Galle Face Hotel welcomed us with the palpable history of nearly 150 years on the coast of the Indian Ocean. 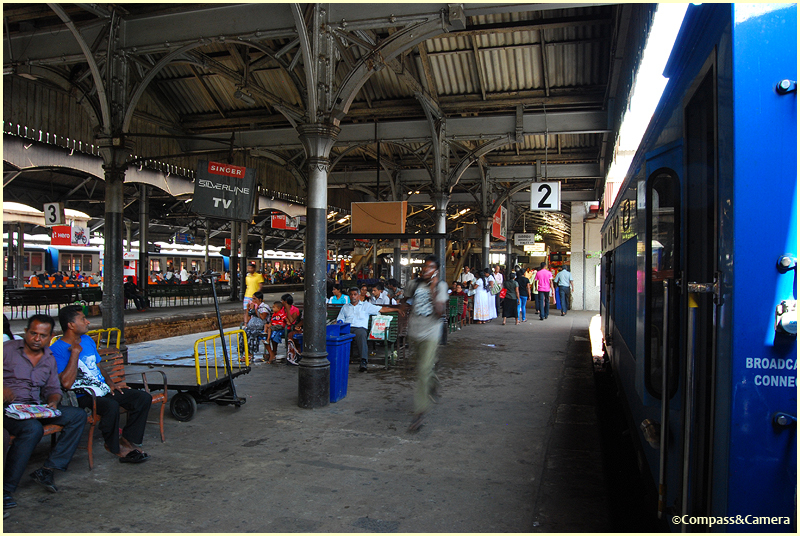 Old and tired, the “grande dame” of Colombo just seemed happy to be there with all her imperfections, making no apologies for the wear and tear of 15 decades. The exhausted wood floor, the cracked tile, the dated finishes that were once in fashion welcomed us like a grandmother whose enduring beauty is far surpassed by the depth and character of her life. We spent one night, enjoyed breakfast on the veranda overlooking the ocean and said goodbye to the grande dame as we departed for the train station. In Colombo for less than 24 hours, I was already wishing we could spend another day there before departing for Hill Country. 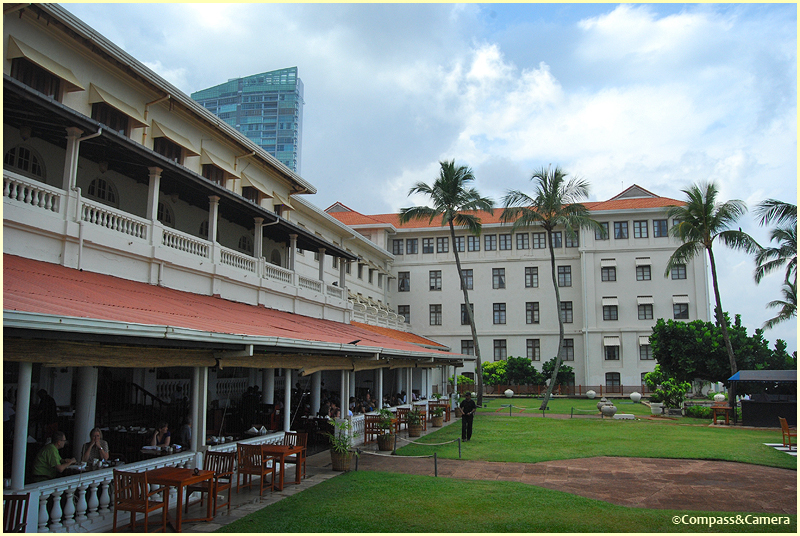 The geographic transition from southeast Asia to the Indian subcontinent was apparent in Colombo’s architecture and appearance. It was like connecting the dots between my travels north to Nepal and Bhutan and my travels to Burma and Indonesia on the east side of the Bay of Bengal. The train station was a mess of activity, with people coming and going and the two of us standing at the curb, clueless about which way to go. With a bit of help from a local we made our way to window four. Tickets purchased and off to the platform! Not far from Colombo the landscape of Sri Lanka began to rise and fall in an endless series of hills and valleys covered with dense trees and brush. A million shades of green extended as far as I could see. 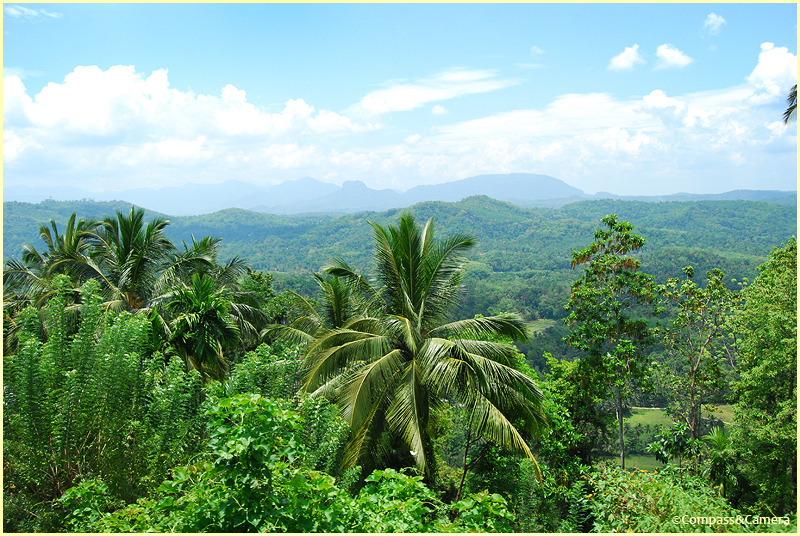 Somehow I hadn’t imagined Sri Lanka to be so lush and breathtaking. What a gorgeous surprise for our first full day in this country. I think I’m gonna like it here, I thought to myself. Our first-class train tickets made our day trip comfortable (with air conditioning), but I wished we could open the windows and enjoy the cool air of Hill Country. In hindsight, second- or third-class is the way to go. Seats aren’t reserved, but the ride is altogether better in the open air among friendly locals. 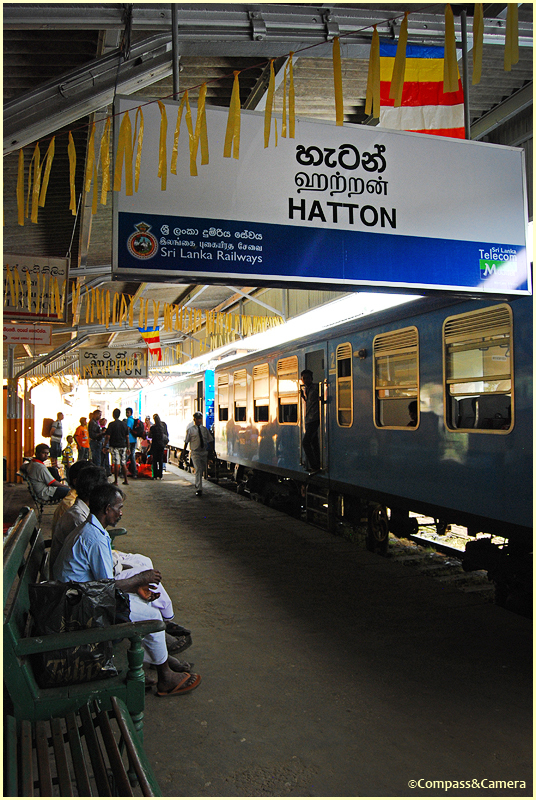 Four hours into central Sri Lanka, we arrived at Hatton. In the bustle of leaving the train station we met a man named Sanoon and hired him to take us to our guest house in Dalhousie. Friendly and eager to get us to our destination, Sanoon packed his tuk-tuk with our bags and we were off on the next adventure. We had more then 30 kilometers to cover on winding dirt roads, but Sanoon expertly cut the journey into smaller trips with scenic stops in between: a valley view, tea plantations, langur monkeys on the roadside, and a quick side trip to see a lake and a distant waterfall. On the side trip to the lake, our tuk-tuk was chased by nine young boys who abandoned their cricket game to see who had arrived in their neighborhood. This ten-minute encounter, completely unexpected, was one of the very best of the whole trip. Shy at first and unsure if we were friendly, the boys stood around the tuk-tuk as we looked at the view. One boy held a cricket bat so Mr. Jason had a look and struck up a conversation. Soon we were all involved in questions and answers about cricket, first names and where we were from. I asked if they played football too? The most popular game in the world? No response. Any talk of playing ball in Sri Lanka can only mean cricket! I had a Milo chocolate milk in my backpack (not my preferred drink, but choices on the train had been limited) so I offered it to them and one of the boys happily took it, then shared it with the others. Just before we got back in the tuk-tuk I asked them if I could take a picture. 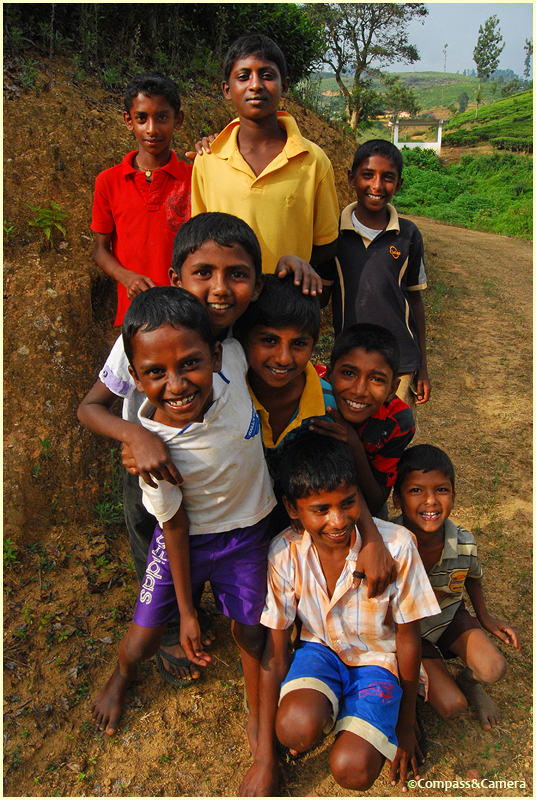 They effortlessly gathered into a perfect group photo, bottom to top, young to old, with the mischief and pride of adorable little boys. Best photo ever! We gave high-fives all around and drove off in the tuk-tuk, as they ran as fast as they could beside us until the road ran out and we were back on our way to Dalhousie. We arrived at our guest house, Slightly Chilled, and checked in. 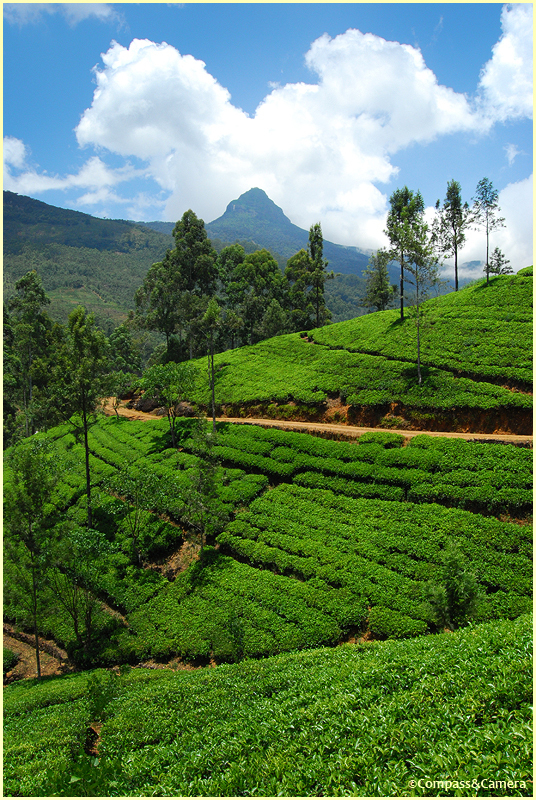 Set on a hillside among tea plantations, the view was stunning across a quiet valley toward Adam’s Peak. We opted to climb the peak the second night, allowing us a day to rest and walk around Dalhousie. Sri Lanka is the world’s largest tea exporter (in US dollars), and the hills are thick with row after row after row of tea bushes. 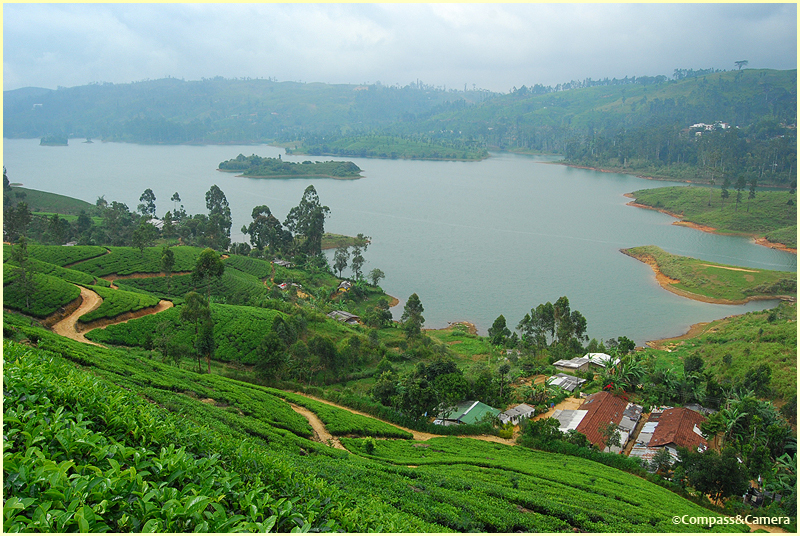 Sri Lanka has the perfect altitude, climate and hilly terrain for growing tea. 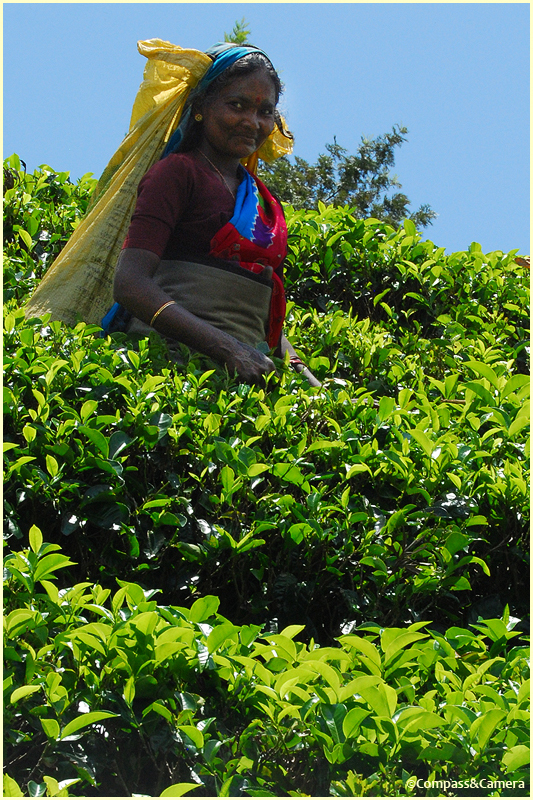 Walking into the surrounding hills, we saw women picking tea and returning to the Laxapana Estate with baskets full of leaves — 20 kilos per person, per day required. Tea leaves are plucked, weighed, transported, withered, crushed, fermented, fired, graded and sent to auction where just a handful of men control all the selling for the entire country. 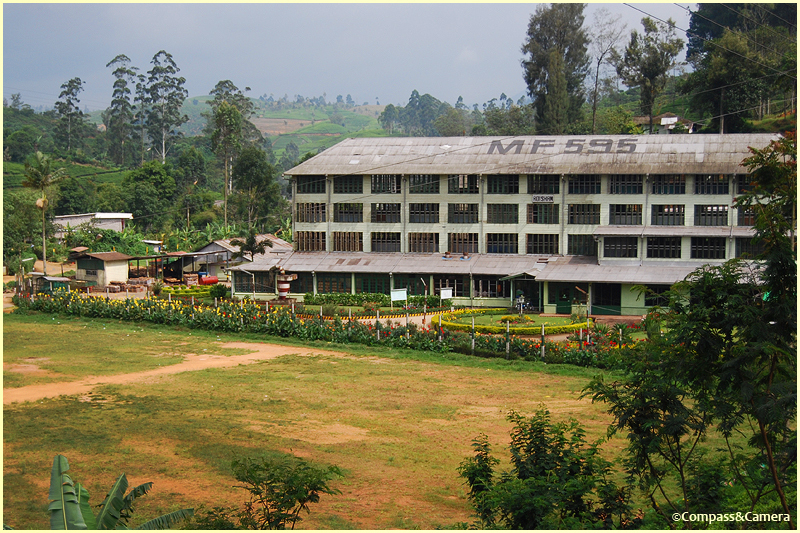 Sri Lankan tea is marketed as Ceylon tea — Ceylon being the former name of Sri Lanka until it was changed in 1972. Aside from tea picking, Dalhousie was a sleepy little town by day — not surprising since it sees most of its activity during the wee hours of the morning when people are trekking up and down the peak. A vendor in town gave me free samples of some Sri Lankan candy to satisfy my curiosity. The “candy” is gelatin, formed in wooden molds on the floor of a hut, in several flavors like dark brown. 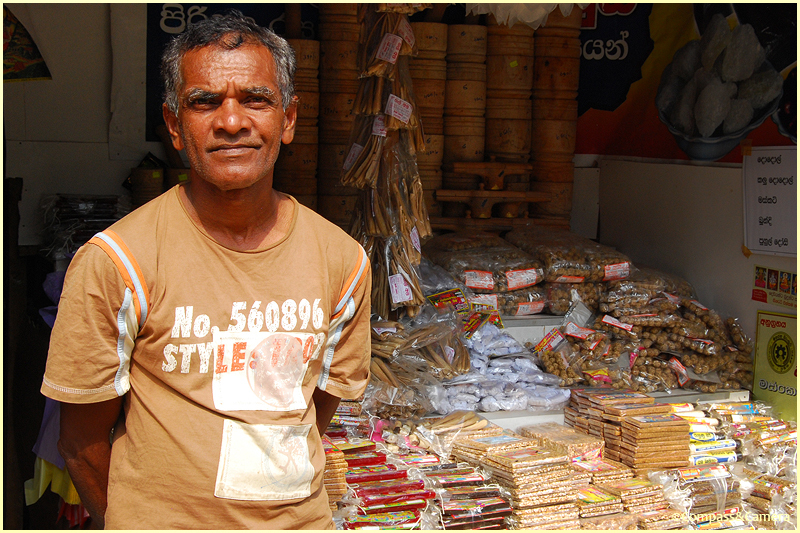 Not my favorite, and not very sanitary, but in our exchange I learned how to say thank you in Sinhala and took his photo. Another vendor was collecting paper money from around the world, and showed me his impressive collection. I contributed a plastic two dollar bill from Singapore and he invited me to come back for dinner. These are the travel moments I love. Monday morning, 3:00 a.m., we began the journey that brought us to Dalhousie. 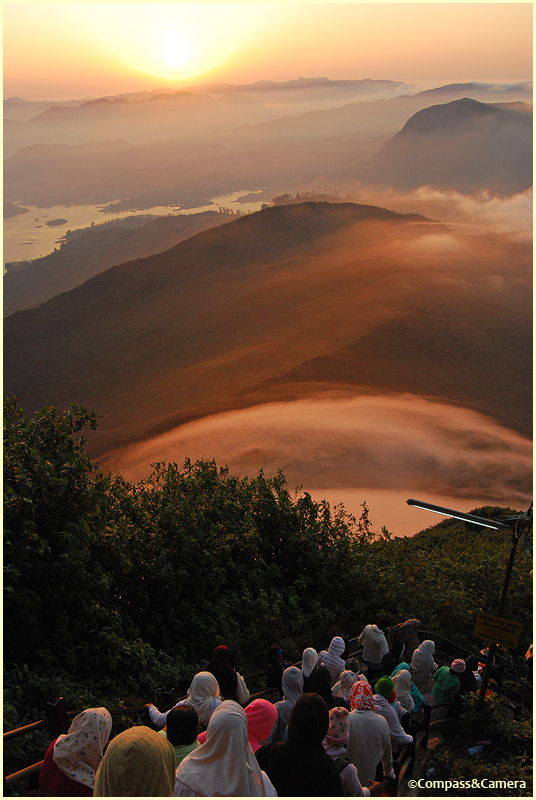 Adam’s Peak has been a pilgrimage site, primarily for Buddhists and Hindus, for more than 1,000 years. The hike to the top is about seven kilometers, with more than 5,200 steps — some of them easy, but most of them big and steep. We left the guest house at 3:00 a.m. so we would arrive by sunrise at 6:30 a.m. We stopped for tea along the way (there are numerous places along the path) and arrived with a few minutes to spare. With the sun rising, we removed our shoes and walked around the temple at the top with a 360-degree view of the landscape below. Drummers hammered out a rhythm as people made offerings and then began their descent. Exhausted and struggling to stay on our feet, we arrived back at the guest house at 8:00 a.m. With no time to spare we ate breakfast, packed up and returned to Hatton where we would catch the train to Haputale. We had to be in Yala National Park by sunset, where the next phase of our trip began. Sanoon! 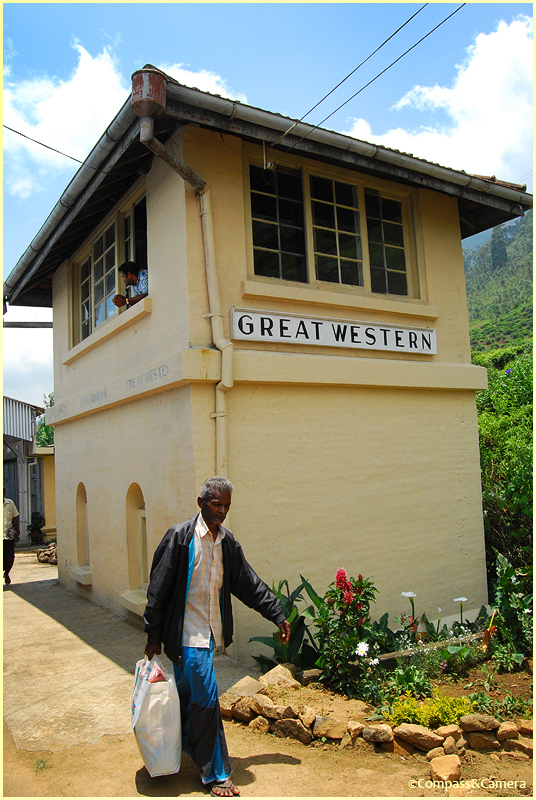 He was at the Hatton train station again, and helped us get our tickets onward to Haputale then told us he would be just a few minutes. We didn’t know what he meant but agreed and waited for the train. He returned 10 minutes later with gifts for us — a bag of tea from Hatton, two coins with impressions of Adam’s Peak and an invitation to come to his house if we ever returned. Istuh-tee Sanoon. Thank you for your kindness. Like a blue ribbon, our train snaked along the top of Hill Country revealing incredible vistas from the open windows of second class, with the ground underneath dropping steeply away from the tracks toward the Uma Oya River and its waterfalls. 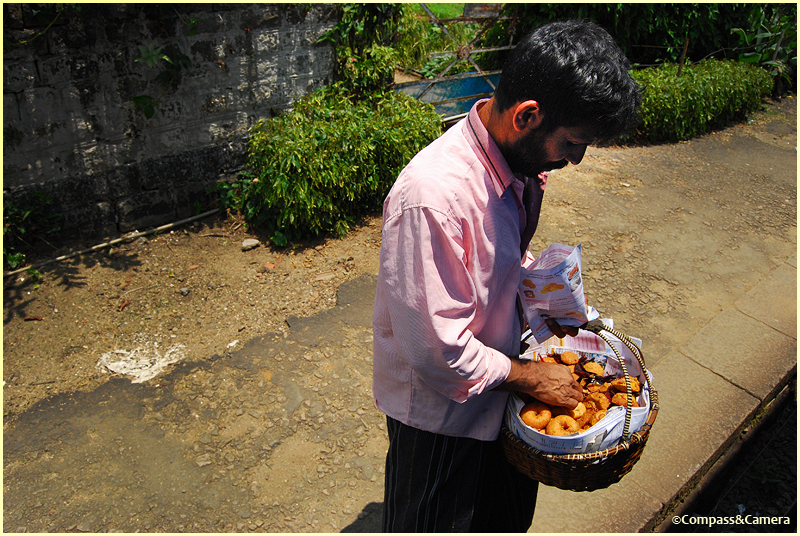 Each stop was a window into life in the countryside, and vendors approached the train windows selling samosas and savory doughnuts. 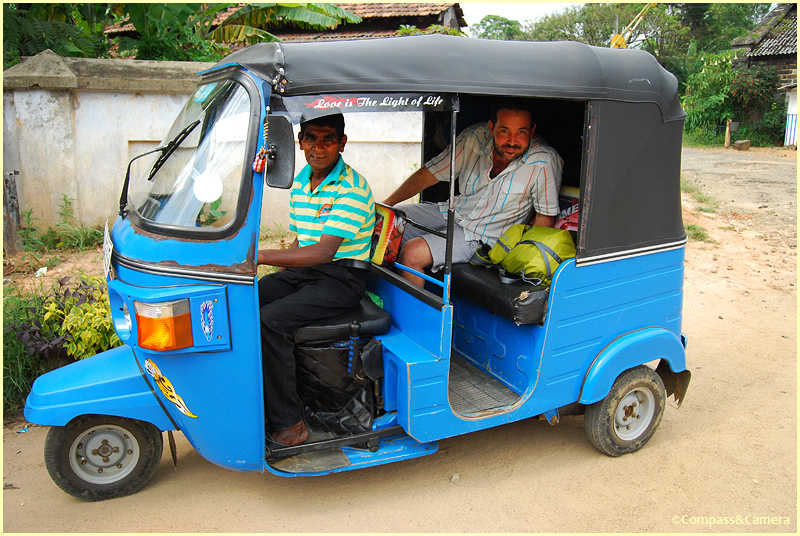 Finally in Haputale at 2:00 p.m., we hired a driver for the next leg to Yala National Park. 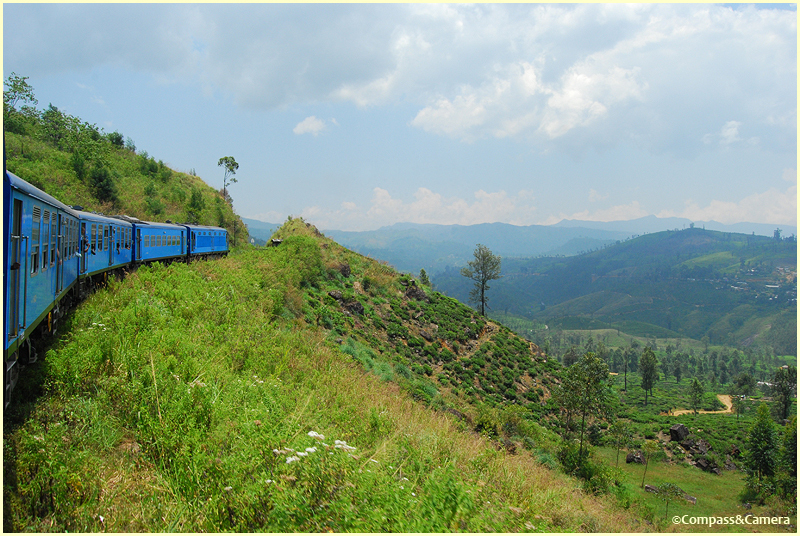 Hiring drivers was easy in Sri Lanka — the train could only get us so far, but there was always a willing party who would not only complete the distance but share some local culture with us along the way. Other travelers said the same — their drivers had enriched their experience with knowledge of where to go and how to get there. Between cars and trains we managed to see a lot of the southern half of the country. The road from Haputale descended downhill through the jungle for quite some time, finally flattening out at as it headed south to Tissamaharama. From there we kept on and made a left turn to Yala, arriving right at sunset as a herd of water buffalo bathed in the lake next to the resort. Chaaya Wild staff welcomed us in the open-air lobby and then escorted us to our room — you cannot walk alone here at night as elephants, leopards, wild boar, etc. are known to wander the area. 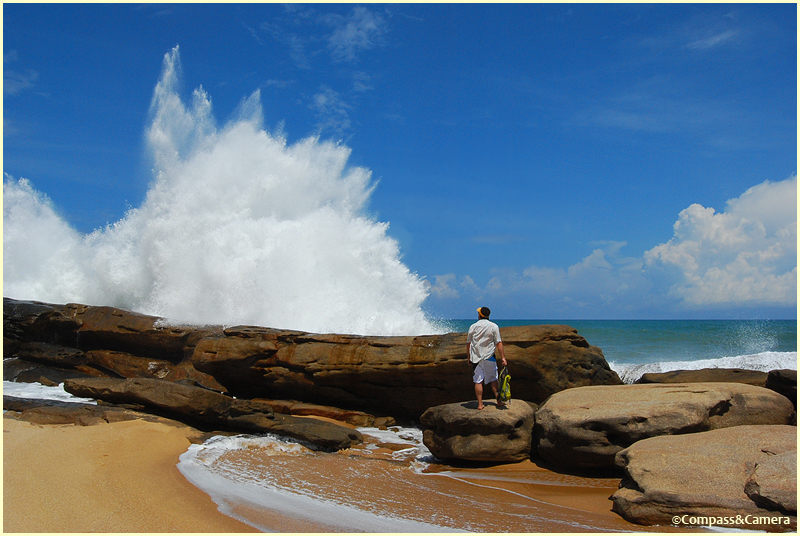 The southeast border of Yala National Park is coastline, and Chaaya Wild Resort is located right next to the beach. It would be treacherous to swim here, but the thundering surf, bright blue-green water and long deserted beach were beautiful and well worth the visit. This was our first encounter with land that was hit by the tsunami in 2004, and just imagining the waves approaching this beach from all the way out on the eastern horizon was chilling. 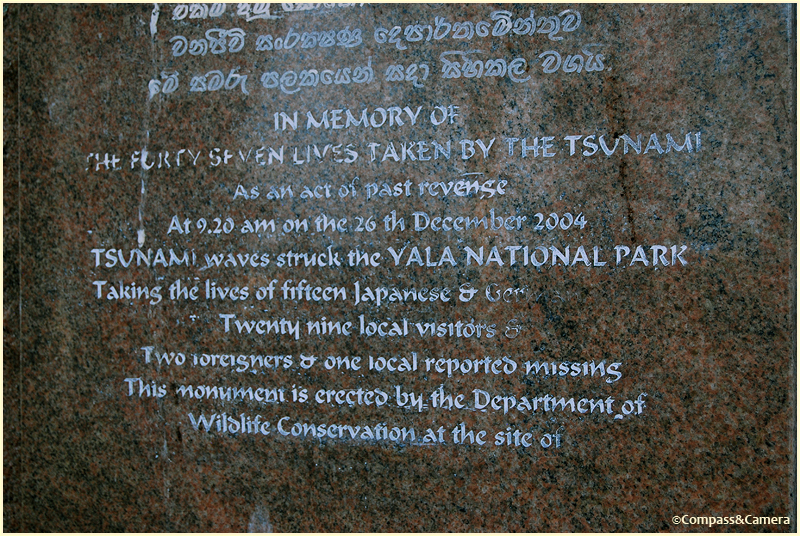 As we learned later that day, 47 people were killed here when the tsunami struck. But according to some, not a single animal in the park was found injured or killed — they had all moved inland with the prescient awareness of an approaching force. We signed up for an afternoon safari and were paired with a driver named Priantha — just the three of us in his open-air vehicle from 3:00 p.m. to sunset. Between Priantha (20+ years of experience) and Mr. Jason (has an affinity for spotting visual effects a.k.a. animals), we saw a huge number of animals and birds at Yala as we bumped heavily along the dirt roads (ladies — word of advice: wear a good bra!). I’ve never been on a safari before so the experience of seeing so many animals truly as they live together, with no protective fences or feeding times, was something I’ll never forget. We were lucky and saw a leopard at sunset as we were ending our safari and returning to the resort. Priantha saw it laying in the road, approached it in the vehicle, then stopped and turned off the engine as the leopard moved off the road. About ten seconds later, he (she?) appeared as almost a shadow, stepping slowly and silently deeper into the bushes. I was agape, transfixed and unable to focus quickly enough to get a photo in the extreme low light. But that’s okay — the cat’s slinky, deliberate steps are etched in my memory forever. We went out with Priantha again, at 5:30 a.m. the next morning. Cool air and a spectacular sunrise wiped out any remaining sleepiness as we set out to look for more wildlife. A pack of jackals was out on the hunt, peacocks were perched on treetops out of reach of the dangers of the night, and a family of elephants was headed for a swim — only to turn back when a crocodile swam towards them in the water. The land around Yala varied greatly, with vast areas of scrubby brush and tall trees followed by enormous wetlands with lily pads and lotus flowers, and dozens of huge birds nesting in the trees. To us, it was nothing short of spectacular — from the toads at the edge of a pond to the trumpet of an adolescent tusker as he charged through the brush. Other tourists might disagree about Yala — there seemed to be plenty of them driving around with poker faces and frowns, reluctant to share anything they had seen and more concerned about the quality of seats in their vehicle. Whatever. Our three nights at Yala were unforgettable. 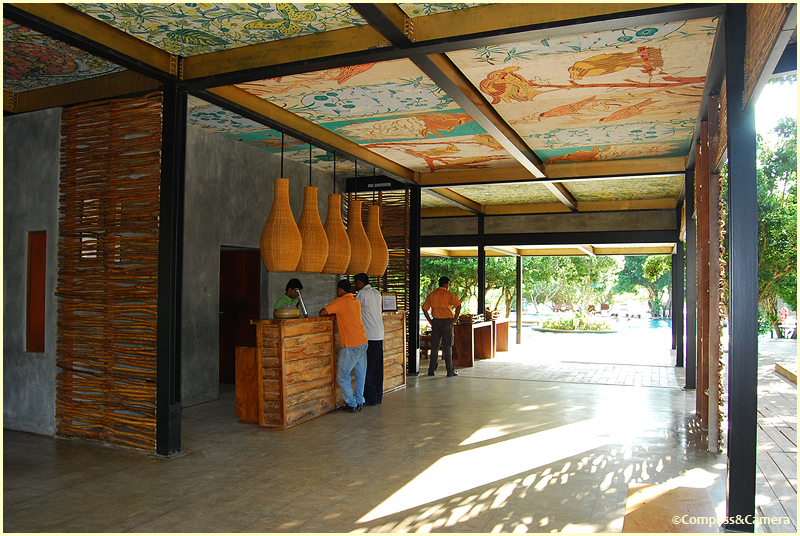 We hired another driver, departed Yala and moved west along the south coast. Tsunami damage was again visible and our driver pointed out water levels and areas of land that had been flattened by the incoming waves. Roadside cemeteries and memorials marked the destruction. Some people had relocated inland, while others had gambled and re-built next to the water. Hambantota, and all the towns along the way, were alive with anticipation of Sri Lanka’s New Year. It was Thursday, and Sunday would be the first day of the new year. People were out buying new clothes, fireworks and food to share with family. 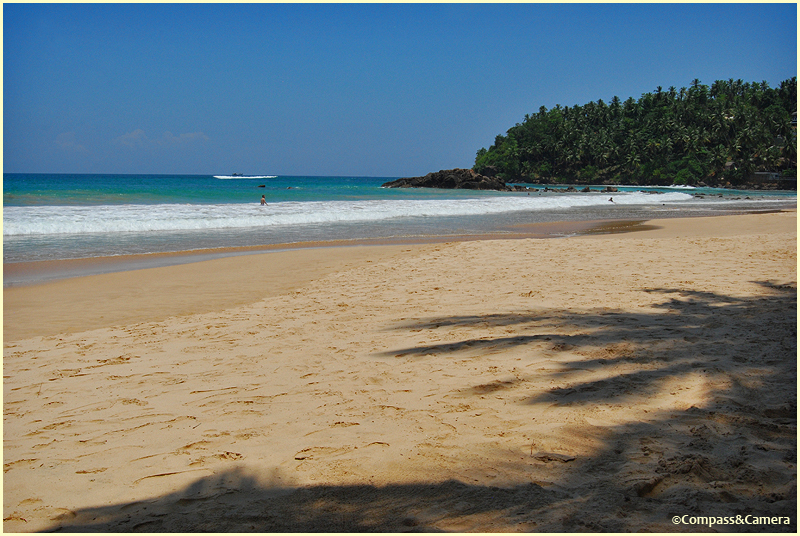 We arrived in Mirissa in the early afternoon, said goodbye to the driver and spent the next two days and two nights on an idyllic palm-lined beach. From Hill Country to safari land to beachside relaxation, it was becoming apparent that Sri Lanka might be the most diverse, least traveled, best destination in the eastern hemisphere. At the very least, Lonely Planet got it right for 2013. Never content to stay in one place for too long, we hitched another tuk-tuk and moved further up the coast to Unawatuna for our last night in Sri Lanka. 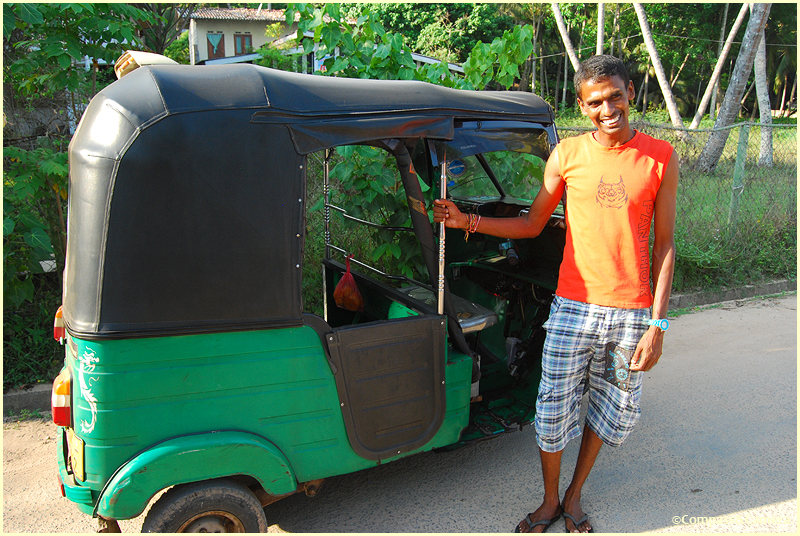 Sumith was our driver — quite possibly the owner of the biggest smile and most infectious laugh in all of Sri Lanka. It would be impossible to be in a bad mood around this guy. He was good people, and happy to take us wherever we wanted to go. We hired him for the day. Sumith and I had a great conversation about language, tourism, religion, work and the New Year. 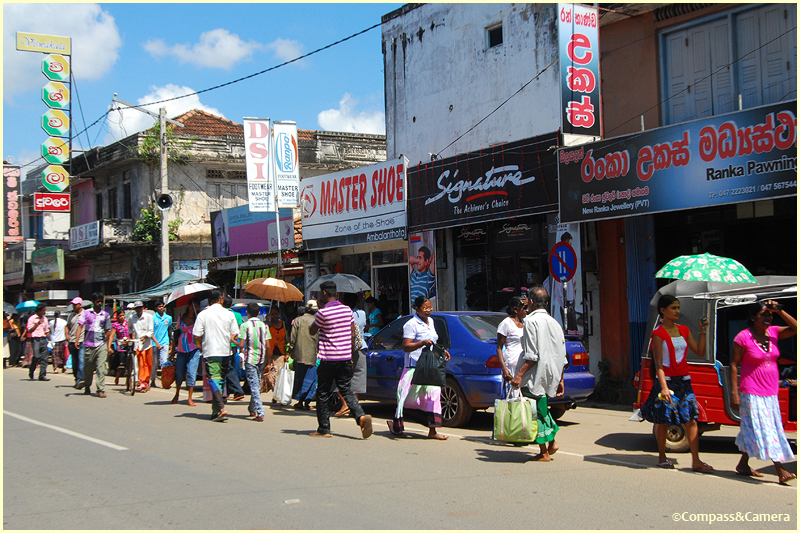 People of Sri Lanka are primarily Buddhists, followed by Hindus, Muslims and Christians. Most speak Sinhala, followed by Tamil. I asked Sumith where he was when the tsunami hit — as I was still shocked by the reality that pretty much every person on the south coast has a story about what happened that day. Sumith received news of the first wave by phone, drove the tuk-tuk to his family, picked everyone up and drove to higher ground. There were four waves total, and the second wave was the worst. His family’s home (inland, on the north side of the main road) was flooded with about a foot of water but Sumith and his whole family survived. 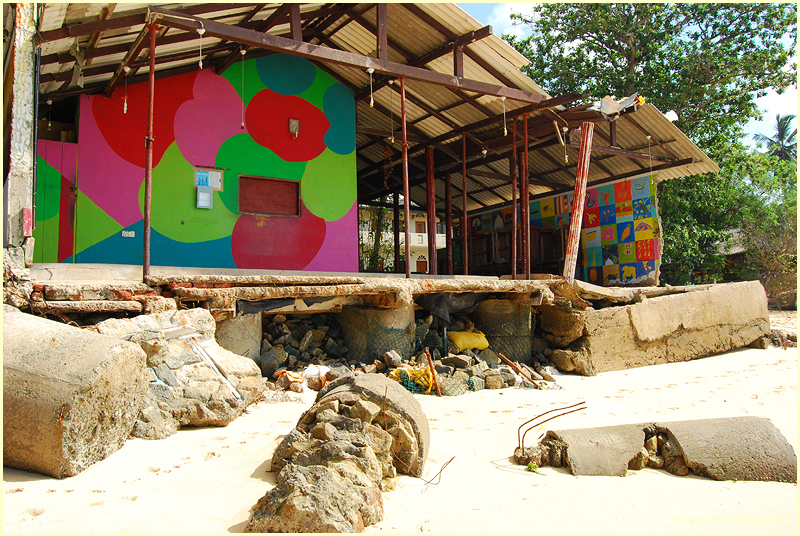 Sumith dropped us off at our next destination — the Villa Hotel, a tall white building that miraculously survived the tsunami except for the patio fronting the ocean that was ripped away leaving scars and debris still visible from the beach. The water was as high as the roof on the main level, just below our room. Our room was on the second level facing the ocean. Lovely and frightening at the same time. After a quick unpack, Sumith whisked us away on a day trip to Galle — the colonial walled town just to the north of Unawatuna. With the New Year approaching the streets were quiet, but the charm was still going strong with shops and discoveries around every corner. 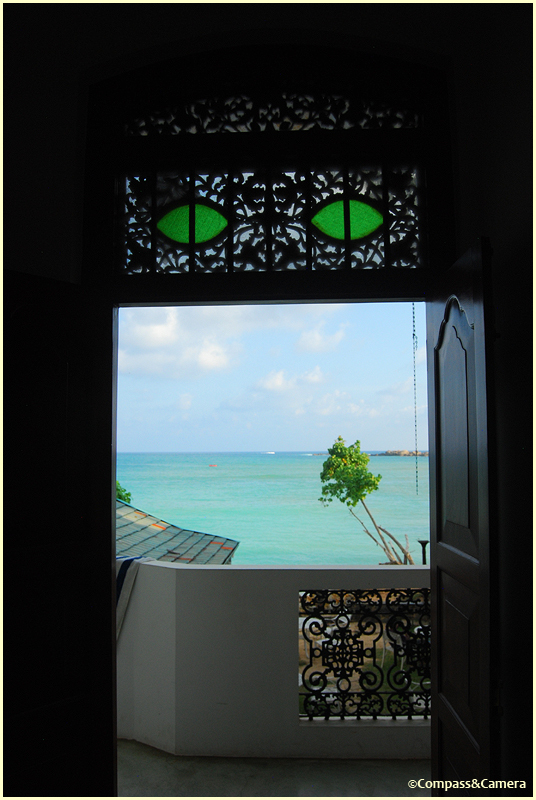 If you’re going to Sri Lanka, put Galle on your radar. 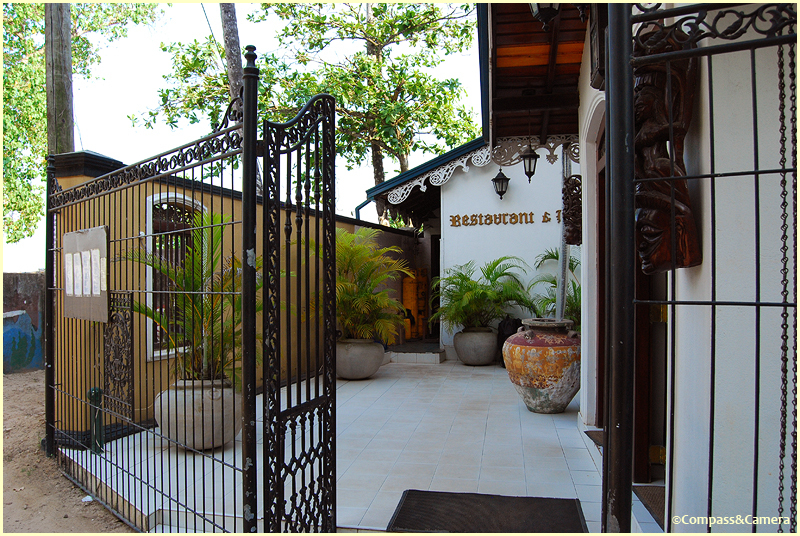 The picturesque character of this protected enclave is blossoming with seaside appeal. 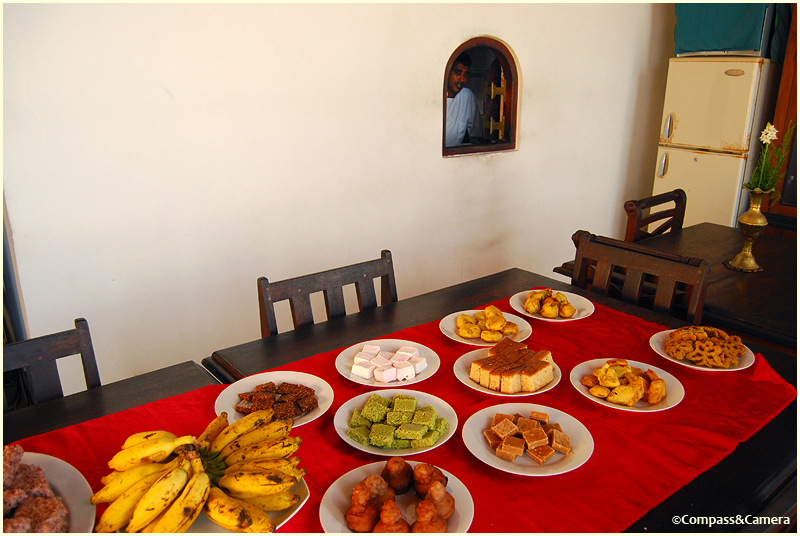 The Sri Lankan New Year came and went with little fanfare compared to the celebrations we’re accustomed to. No sleep lost! We had a fun breakfast of all kinds of little unknown cakes and dumplings. 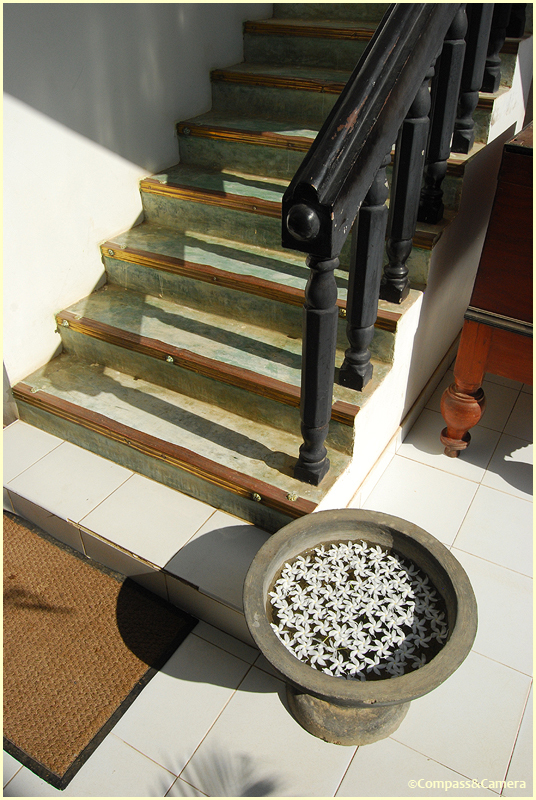 Generally speaking the food in Sri Lanka was good, but we wish we would have had more opportunity to try local cuisine. Staying in remote locations often means you’re subjected to bland buffets that have been created to satisfy everyone (and subsequently no one) in the world. However, we did try kottu roti — a melange of cut vegetables and meat that’s chopped with two blades and such distinct enthusiasm it can be heard being made all over Sri Lanka. It was good, and the hoppers at breakfast were also a new food experience. 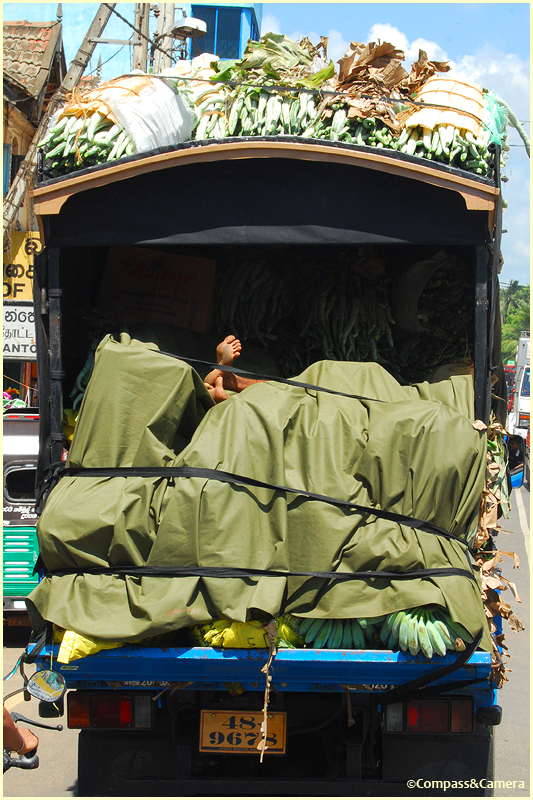 Sri Lanka also has amazing fresh fruit, in particular pineapples and bananas. Sri Lanka has bananas for daaaaaays. Endless bananas. Bananas for breakfast, lunch and dinner. If you are a banana lover or banana farmer, this is your place. These are your people. After breakfast we strolled down the beach at Unawatuna, once again astonished by the remaining damage from the tsunami more than eight years after impact. 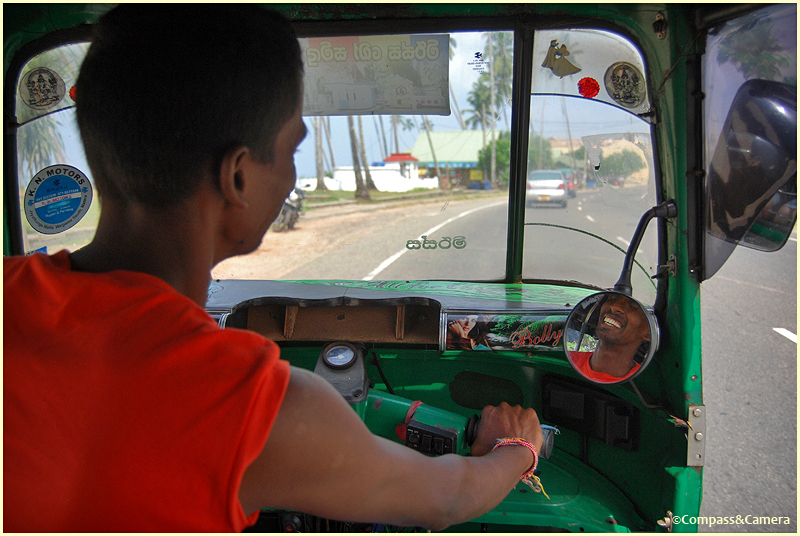 Late in the afternoon, we hired our last driver to return us to Colombo and catch our flight to Singapore. The sun was an enormous orange ball dipping into the horizon in a final, fantastic goodbye. It was an incredible ten days in Sri Lanka — from the electric green tea plantations to the top of Adam’s Peak to the rustic backcountry of Yala to the lucent blue waters of Mirissa to the funky charm of Galle. I arrived with few expectations, but Sri Lanka cast its spell and then enchanted me even more with the genuineness of its people. Istuh-tee Sri Lanka. May your waters be calm and your smiles be returned by the people you so graciously welcome to your home. Wow! What an incredible journey!! I love reading about your travels, and your pictures are beautiful! Hey pixzgirl! Thank you! Love to hear when people enjoy reading about my trips abroad. Thank you for hanging out at my blog! 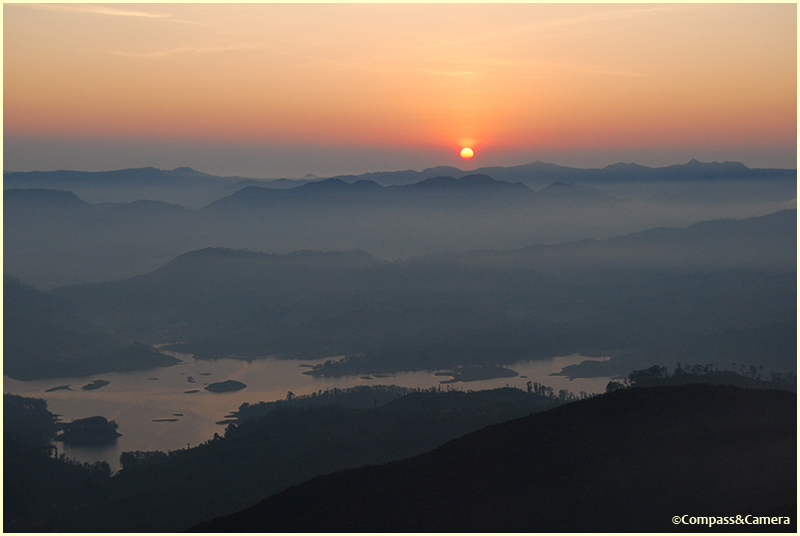 That first sunrise shot on Adam’s Peak is truly magical. Definitely a “lost in the moment”. Thank you! It was a nice reward for the climb. Beautifully worded & stunningly visualized. I’m adding this to the list. The long, long list! Hey! Thanks brother! Yeah, I thought I could cross Sri Lanka off the list when we were done, but it’s gonna stay on it. We didn’t even get to the north part of the country. Maybe we can go together someday! Wonderful post, K. Your photos are incredible. I really love that shot of the train winding around the green hill country, but they are all beautiful. You will love it! Can’t wait to hear your thoughts about it! What an awesome post, it sounds like you could stay there for awhile… Great photos and I’ll be heading out there at the end of May just for a few days, and very much looking forward to the trip. Wow Kelly, you’ve sold me! Great post and photos. I especially liked the second sunrise photo. The climb reminded me of when we climbed Mt Batur on Bali in the dark, making it to the top just in time for sunrise. Also love those travel moments like you had with the cricketing boys. It’s moments like that that rich the whole travel experience. 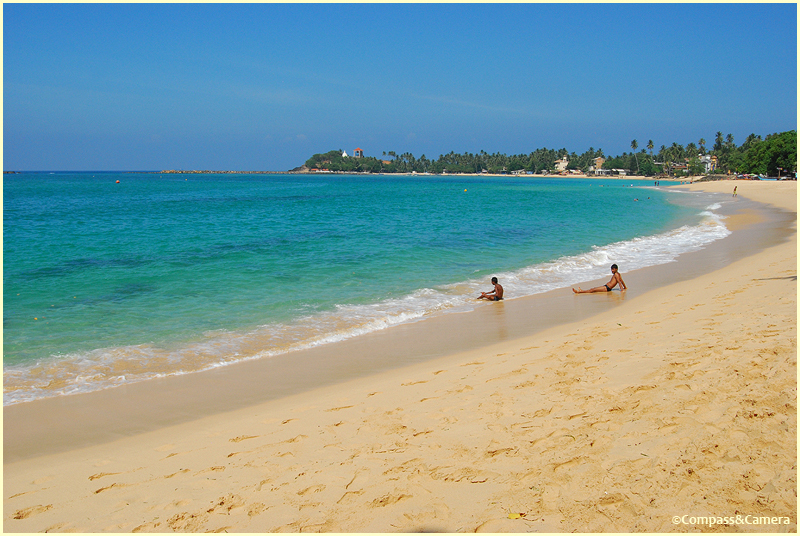 So – Sri Lanka is definitely on the list now! Awesome! Great to hear Sri Lanka is on your wish list! Did you write about Mt. Batur? I’ll have to hop over to your place and do a search. We climbed Gunung Agung on Bali but I’d love to do another peak if/when we return. Enjoy the holiday weekend and Happy Thanksgiving to both of you! ~K. Thanks Kelly. Same to you.